After a loved one gets injured, life gets very confusing and overwhelming, but Determined2heal is here to help simplify this whole experience. There are many questions that you want to be answered but unfortunately there are not definitive answers. Some doctors tend to give the most pessimistic outcomes so not to give false hope. 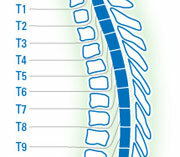 Unfortunately, many doctors are stuck in the old philosophies of spinal cord injury. The new philosophy of dealing with a spinal cord injury is something your doctor may not be familiar with. It is important to be your own advocate and learn as much as you possibly can. Read through all the sections of steps to recovery to help to get you updated on the new philosophies. Click Here — Learn more advice for family and watch thousands of SCI videos on SPINALpedia! The most important thing a family can do in the beginning is to be strong and supportive. Seeing my family at the hospital made me know that I was not in this alone. Having this support was crucial. Without it, the hospital stay would have been a totally different experience. When you do visit, come with a game plan. Talk about past memories, play games, do whatever you can to distract your loved one during this hectic time. My family members would bring in movies, read me magazines, and read me letters that my friends had written for me. When you’re not with your loved one, it is very important to educate yourself as best as possible. Educating yourself about your loved one’s injury level will help greatly throughout this transition. This website is designed to help simplify this transition with important knowledge. 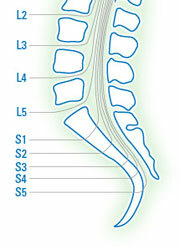 Read all of the spinal cord sections. Another important thing to focus on is to get your loved one on Social Security benefits as quickly as possible. On average it takes about six months to be processed into Social Security. Social Security will open so many doors to different state programs and will help pay for rehabilitation medical assistance. Go to the Social Security section of the website to learn more, click here. The healing process is often hindered because of the way the hospitals treat newly injured patients. 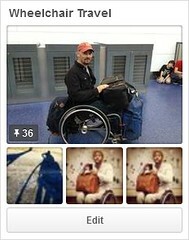 When I arrived at the critical unit, I was a 185 pound college athlete with a spinal cord injury. In a three-week period of just being bedridden, my body lost most of its muscle and I was transitioned into being a 135 pound quadriplegic. Understanding that the healing process takes time and a lot of patience is the key to staying mentally positive. The adjustment to paralysis is overwhelming. As a parent or sibling, it is important to learn how to care for your loved one. 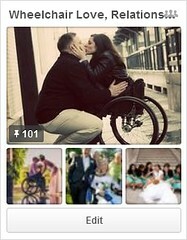 Based upon your loved one’s injury level it might mean you need to become your loved ones hands and feet. When I was first injured my family had to do everything for me–there was very little I could do physically. It was very difficult for me to have to ask for everything because I was so used to being independent. Having to describe everything that I needed verbally was a skill that took a while to develop. It is important to remember that your injured loved one is going to get frustrated and say things they don’t mean. Be patient and understanding because as time goes on a routine develops without requiring too much thought on your part. Remember, the injured one has to describe everything he needs by giving verbal instructions which can be tedious and frustrating. Lots of patience and lots of deep breaths will help you get through this. Being organized will also help immeasurably. Establishing a routine, keeping things simple, and reducing room/home clutter will help things go smoother. I consider the first few months of my injury as the toughest months. Overcoming this first obstacle is difficult but with the help of friends and family, this obstacle becomes a memory of the future to move forward from.